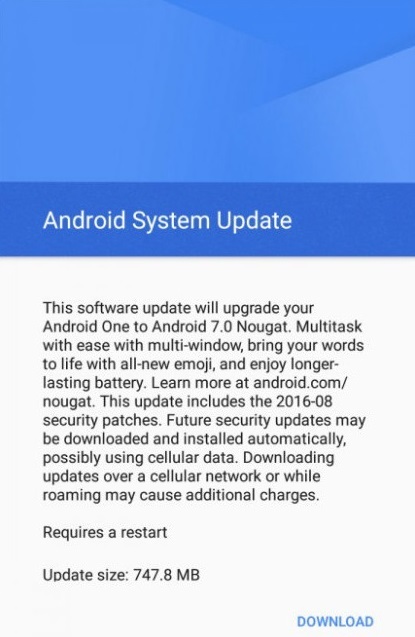 Google starting rolling out Android 7.0 Nougat update for Nexus devices last month. Google also started rolling out Nougat update for Nexus 6P recently which was halted due to battery drain issues. Now, after rolling out Nougat update for Nexus devices, Google has rolling out the update for Android One devices as well. The first Android One device to have received the Nougat update is the Cherry Mobile G1. The update is 747.8 MB in size and will come with features like multi-window, improved Doze Mode, 1500 emojis and more. 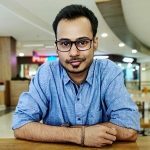 Needless to say, Android One devices are the ones that receive the latest Android updates from Google soon after they are rolled out to the Nexus lineup. While the Android One devices pack relatively lower-end hardware, the performance is still smooth because of the stock version of Android received directly from Google. 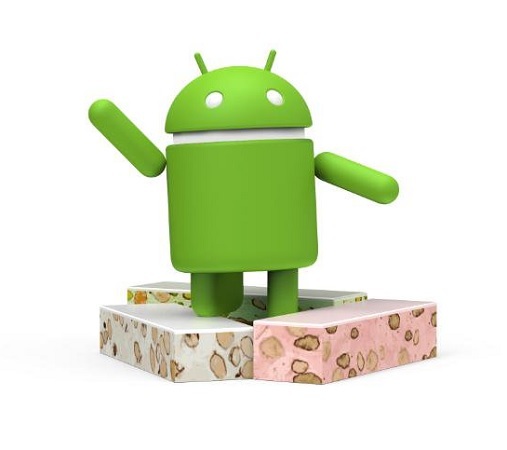 As of now, it’s not yet known as to which other Android One devices are receiving the Nougat update, but we are sure that more Android One devices will be covered by Google in the coming days. By the way, which version of Android do you have on your device?